Every live stage performer is entitled to have an off night once in awhile, especially somebody like Elvis Presley, who gave hundreds of live concerts during his career. Unfortunately, as his health declined in the mid-seventies, Elvis’s touring schedule was increased at a time when it should have been curtailed instead. The result? 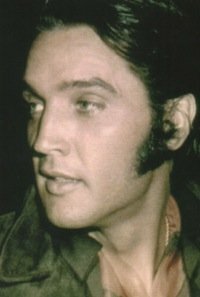 … a string of sub-par Presley shows that left his fans saddened and obliged ethical reviewers to be honest about Presley’s mediocre performances. One of those ethical writers was Marty Bennett, whose blunt review of Elvis’s May 29, 1977, show in Baltimore, Maryland, appeared in Variety three days later. The distressing story of that Presley appearance started before Elvis came to town with widespread ticket scalping and culminated in an embarrassing and painful stage show in the Baltimore Civic Center. Immediately after the tickets sold out, they went back on sale, this time illegally. 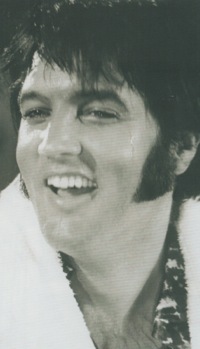 In an April 20, 1977, article, Variety reported that Elvis’s appearance in Baltimore had “generated record illicit prices as scalpers, professional and otherwise, gathered the chutzpah to go public with classified ads in a Sunday newspaper.” Of course, details of such illicit ticket sales are hard to come by, but it is known that one scalper who advertised $15 tickets for “best offer” received up to $100 per ticket. Although there was a strict 10-ticket limit at the box office, the professional scalpers were able to accumulate much more than that. One classified advertiser told a radio reporter that he had 67 Elvis tickets for sale at $40 each. One newspaper, The New American, stood by its principles and refused to accept the scalpers’ ads. Of course, all the tickets held by scalpers were moved for a healthy profit. 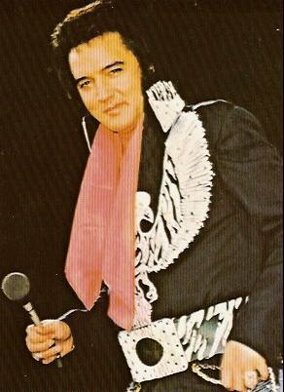 Certainly, hundreds of those Elvis fans who were still standing in line when the box office put out the “sold out” sign had no misgivings about paying multiple times the issue price for tickets in Baltimore that spring in 1977. After all, for many it was a once in a lifetime chance to see Elvis Presley in person. The scalpers could have charged even higher prices and gotten them had they and their customers known that Elvis would die just a few months later. After a half-hour hiatus, Elvis returned to the stage. He had left, he explained, because of a “twisted ankle and nature calls and you don’t fool around with nature.” Though he emphasized, “there’s nothing wrong with my health,” a Civic Center official later said Elvis was on medication and was treated by a physician during the 30-minute gap. Much of Arnett’s article is filler retelling the story of Elvis’s rise to fame and how he was still “the perfect fantasy of every woman.” No photos of Presley’s Baltimore appearance accompanied Arnett’s review in the Sun. “The media have to buy tickets if they want to review him or take his picture,” Arnett explained. “The Sun’s photographer, who didn’t have a ticket, was not allowed in the Civic Center.” It’s obvious that Earl Arnett declined to buy a ticket as well and was likewise turned away at the door. Then he shamelessly tried to snooker his readers into believing he had actually seen Elvis’s performance. "Suddenly, without explanation, Elvis announced he had to leave the stage and walked off … After a half-hour hiatus, Elvis returned to the stage. He had left, he explained, because of a 'twisted ankle and nature calls …'"